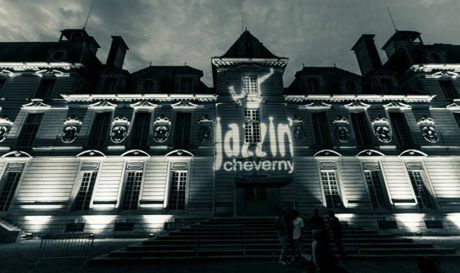 A jazzy week-end will take place in Cheverny! Discover Saint-Bohaire with its very old wash and its XIIth century church. Castles and Loire by Bike or The Loire by Kayak, ULM flight, Quad, Archery, hiking trails on foot, on cycle or on horseback allow you many delightful promenades. Take a trip over the magnificent landscape in a hot-air-balloon. Also the Blois-Le Breuil aerodrome is identified as leisure cebnter, an ideal air station with 3 flying schools (planes, gliders, microlight, helicopters). Blois : This Royal Castle, just 7 kms from the Château du Logis, known for its rich architecture and history, is a must see. It contains all the secrets of the lives of monarchs who lived there and their court. In addition to visiting the castle, it hosts a museum that holds treasures and arts. The castle is open all year long. Chenonceau : Also called “Chateau des Dames” built on the Cher River, whose waters reflect the unique beauty of its architecture, the Château de Chenonceau is the jewel of the Loire Valley. This is the second most visited castle in France after Versailles. Chaumont sur Loire and its International Garden Festival : Château de Chaumont-sur-Loire, overlooking the Loire Valley World Heritage Site by UNESCO, illustrates both the defensive architecture of the Gothic architecture and approval of the Renaissance. Property of Queen Catherine de Medici and Diane de Poitiers, the castle known in the eighteenth and nineteenth centuries a period of intense intellectual ferment. Chambord : One of the most beautiful and famous castles in the region, is only a few miles from the Château du Logis. Here You will discover how Francois the 1st was free to commission a castle in a style of his choice which resulted in this magnificent architectural gem. The castle and its forest are open all year. Cheverny : This beautiful castle and historic monument, is open all year. It is famous for having inspired Hergé in creating Moulinsart castel in Tintin. You can visit the many rooms open to the public, walk through the huge park that surrounds it and visit the hunting hounds that it houses. Beauregard : The domain of Beauregard is not without surprises. A splendid inconspicuous castle, overlooking the vast parks was labeled the “Remarkable Garden” in 2005. The castle is best known for his famous portrait gallery, which deals with the story of domestic and international politics of the kingdom of France between 1328 and 1643, around 327 portraits. Troussay : The smallest castle but not least. The story of Troussay begins with the laying of its 1st stone around 1450. A 1545 act mentions the name of the 1st owner: Robert de BUGY, called “The Lord of Troussay “. Talcy : A poetic château, Cassandre, the daughter of the first owner, was the inspiration for Ronsard’s famous “Mignonne, allons voir si la rose ...”, whilst her niece Diane was the muse of the young Agrippa d’Aubigné. One of the direct descendants of Cassandre’s daughter was Alfred de Musset. One of the last owners. The Catherine de’ Medici and Charles IX rooms were where the Talcy Conference, the last meeting between Catholics and Protestants, took place in 1562. Amboise :The Royal Château of Amboise welcomes you every day of the year (except on 1st January and on 25th December). This emblematic monument and its landscaped gardens offer one of the most remarkable panoramas of the Loire valley, and are registered as a World Heritage site by Unesco. Château de la Presle with its delicious wine from the Touraine region – La Maison des Vins à Cheverny et La Maison des Vins à Chambord qui représentent les AOC Cheverny et Cour-Cheverny dont le fameux cépage Romorantin créé par François 1er – Farm, regiaonal products.